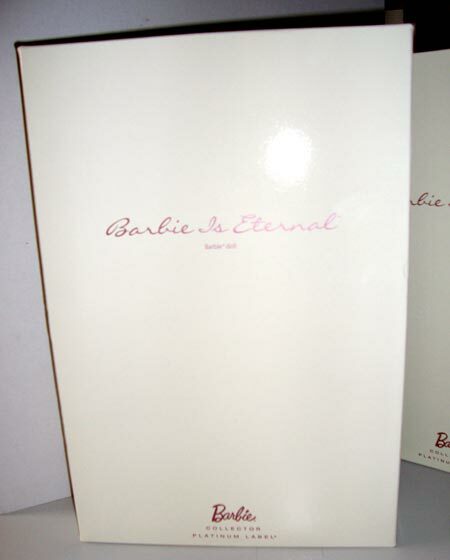 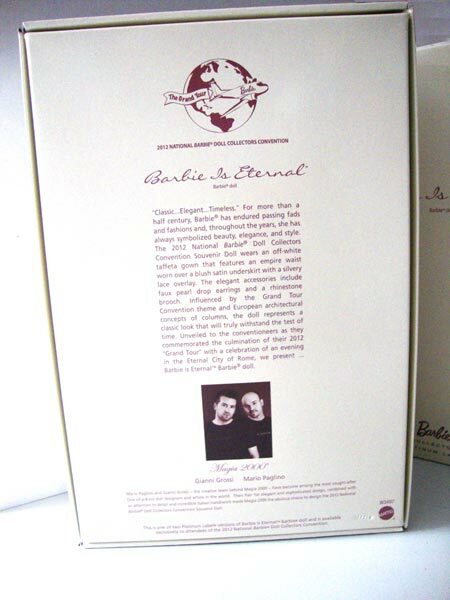 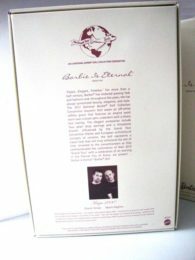 “Barbie© is Eternal” is the souvenir doll for the 2012 National Barbie Collector Convention held in Garden Grove, CA, designed by Mario Paglino and Gianni Grossi, aka Magia 2000. 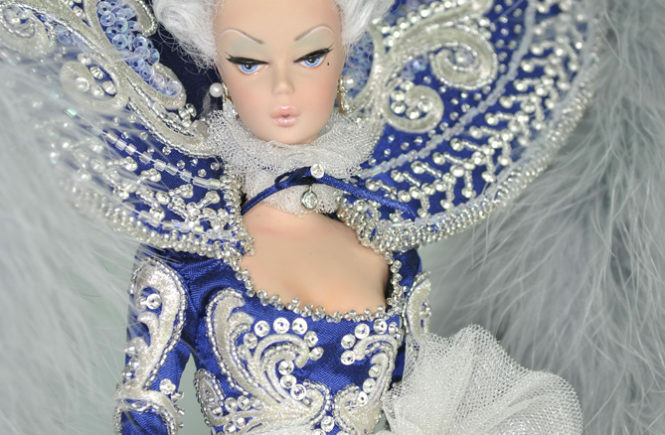 For the second time m, Magia 2000 has been selected as souvenir doll designer by the Convention Steering Committee and accepted by Mattel USA to create a beautiful and elegant doll celebrating the convention theme “the Grand Tour”. 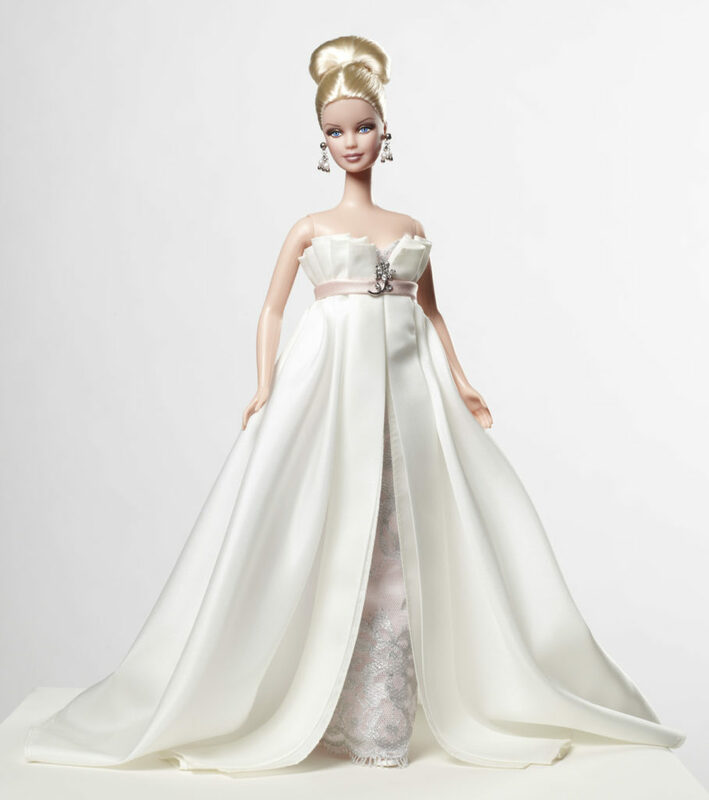 “Classic…Elegant…Timeless.” For more than a half century, Barbie has endured passing fads and fashions and , throughout the years, she has always symbolized beauty, elegance and style. 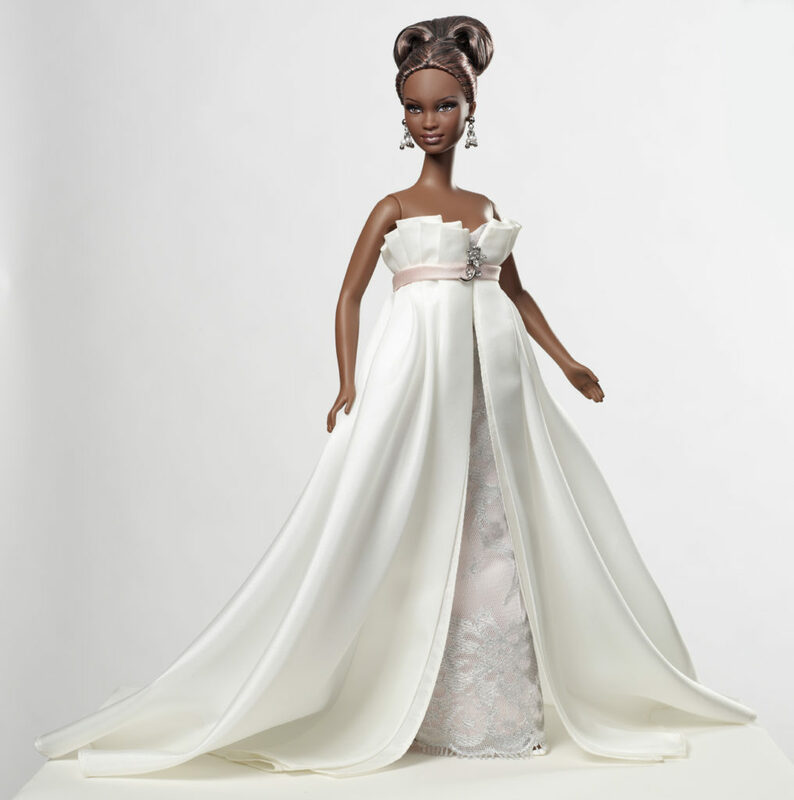 The 2012 National Barbie Doll Collectors Convention Souvenir Doll, designed by Mario Paglino and Gianni Grossi, aka Magia 2000, wears an off-white taffeta gown that features an empire waist worn over a blush satin underskirt with a silvery lace overlay. 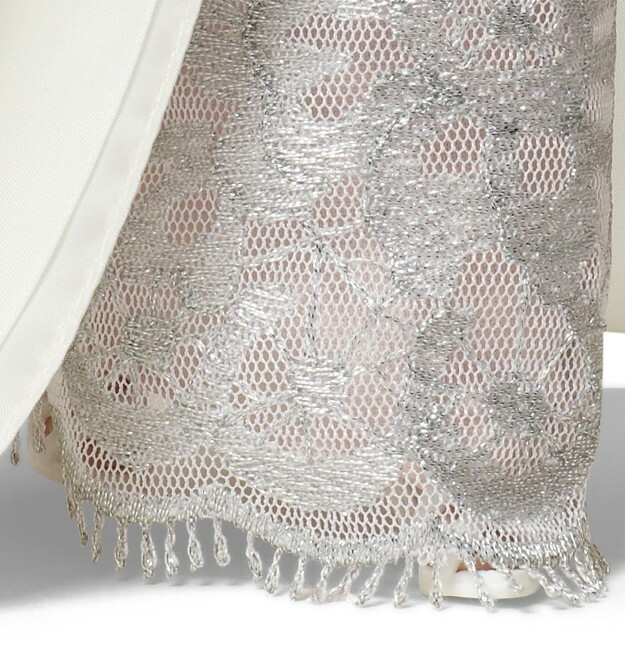 The elegant accessories include faux pearl drop earrings and a rhinestone brooch. 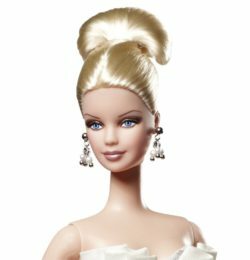 Influenced by the Grand Tour Convention theme and European architectural concepts of columns, the doll represents a classic look that will trylu withstand the test of time. 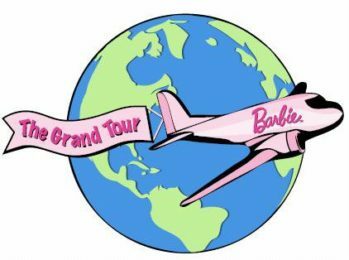 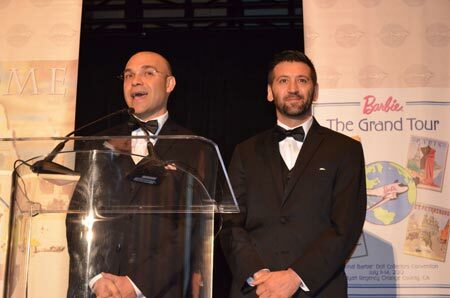 Unveiled to the conventioneers as they commemorated the culminationa of their 2012 “Grand Tour” with a celebration of an evening in the Eternal City of Rome, we present …”Barbie is Eternal” Barbie doll. 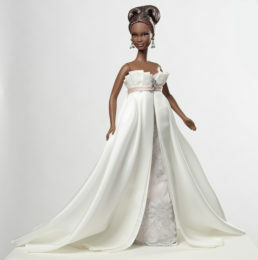 There are 2 different version fo the doll, a Caucasian and a Afro-American version. 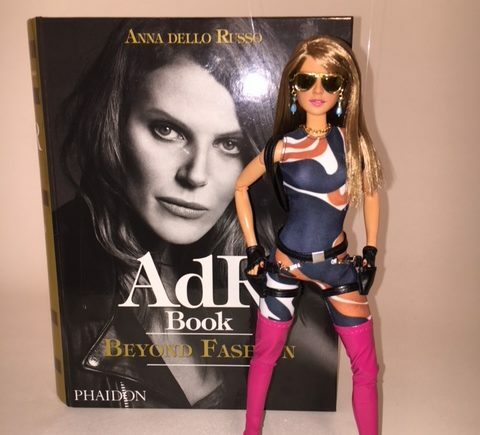 This doll was produced by Mattel Inc. in Platinum Edition and was not on sale, but available only for conventioneers at the convention. MATTEL USA, Lauren Douchette, Katie Phillips, Amy Harkin and Liz Gramp. 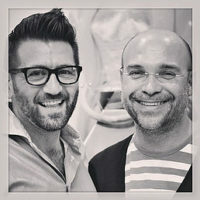 Robert Best, for being our inside production designer and truly respectful of our vision. 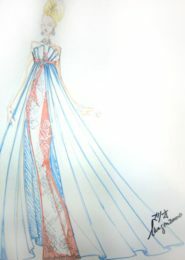 He is a true artist and a great designer. 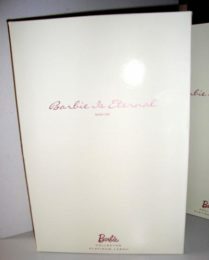 Barbie Convention Steering Committee, for choosing us as designer and especially to Rocky Schmidt who followed the relationship with Mattel and envisioned the idea of this doll, being a great Creative Director for the convention. 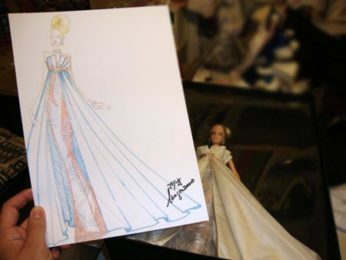 THIS DOLL IS DEDICATED TO OUR COUNTRY, ITALY, which is the most incredible place in the world and was the original inspiration for the concept. 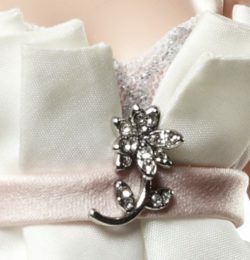 WE ALSO DEDICATE THIS DOLL TO OUR FAMILIES WHICH SUPPORTED OUR PASSION FOR DOLLS AND ESPECIALLY TO OUR MOTHERS.